Immediately prior to joining Atlanta’s John Marshall Law School in 2007, Professor Rapping served as Training Chief for the Orleans Public Defender, working to rebuild New Orleans’ public defender office in the wake of Hurricane Katrina. In the ten years prior to his work in New Orleans, he served in the Public Defenders offices of Georgia and Washington, D.C., developing and implementing public defender training programs, and handling a caseload of serious felonies. He currently serves as a Visiting Associate Professor of Law at Harvard Law School. 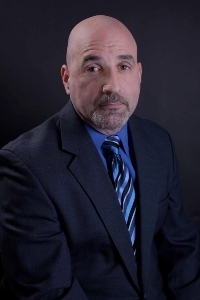 He teaches and presents at numerous programs for criminal defense associations, public defenders offices, and law schools throughout the country. In 2007, Professor Rapping was awarded a Soros Justice Fellowship to develop Gideon’s Promise, devoted to training and supporting public defenders across the Southeastern United States, a project he currently directs. He has won numerous awards for his work in this area. Professor Rapping and Gideon’s Promise are featured in the award winning HBO documentary, Gideon’s Army. In 2014, Professor Rapping’s non-profit organization Gideon’s Promise partnered with the Maryland Office of the Public Defender (OPD). The partnership will help OPD improve the quality of representation in its state. To facilitate this partnership, Professor Rapping will work intensively with Maryland OPD to incorporate the Gideon’s Promise model across the state. Being asked to model this program in Maryland is truly the next step for the organization. Rapping will work with Maryland OPD to direct strategic planning and organizational development as it continues its great work trying to ensure justice is a reality in courtrooms across that state. Paul DeWolfe, the Public Defender for Maryland, invited Rapping to work with his organization after spending a couple of years working with Gideon’s Promise through its Leadership Program. Professor Rapping was named a 2014 MacArthur Foundation Genius Fellow for the impact his non-profit organization, Gideon’s Promise, has made on society. The MacArthur Fellow Program awards unrestricted fellowships to talented individuals who have shown extraordinary originality and dedication in their creative pursuits and a marked capacity for self-direction. One of the Most Important Civil and Human Rights Battles of Our Time. (November, 10, 2014). Talk Poverty. Gideon’s Promise: Do Low Pay and Heavy Workloads Undermine the Right to Counsel? (April 22, 2014). Legal Talk Network. One Lawyer’s Campaign to Improve Legal Defense for Indigent. (April, 14, 2014). The Huffington Post. Radio Interview – Gideon’s Promise. (February 14, 2014). Kiss 104 FM.